Trout Point Lodge, Cerro Coyote, Aaron Broussard and others named as co-conspirators/defendants in federal racketeering suit. 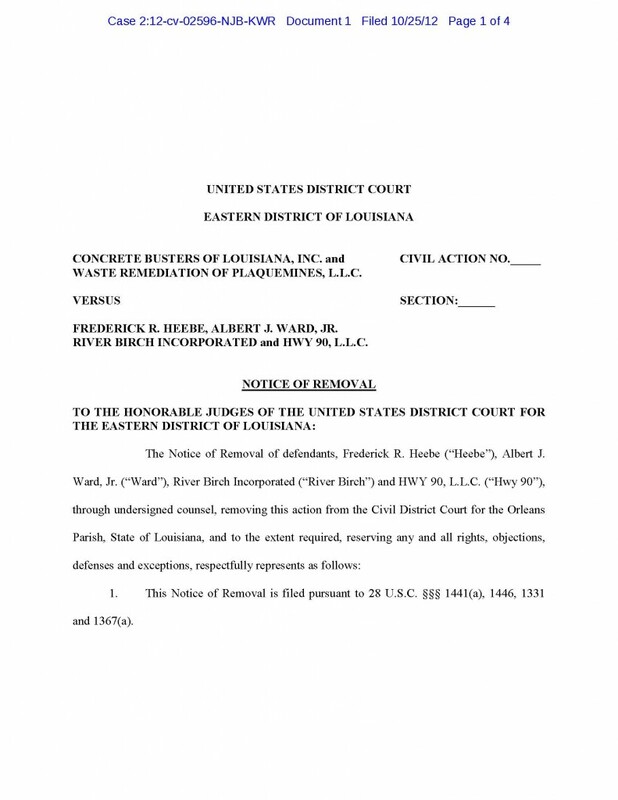 For true folks they are so named as the Concrete Busters lawsuit has been removed from the Orleans Parish CDC to the US District Court in New Orleans. My perusal of the docket indicates this case is filed under the Racketeer Influenced and Corrupt Organizations Act as it looks to me like certain Goatherders are in BIG trouble. Slabbed’s previous coverage of this aspect of the larger corruption scandal in Jefferson Parish can be found by clicking here. 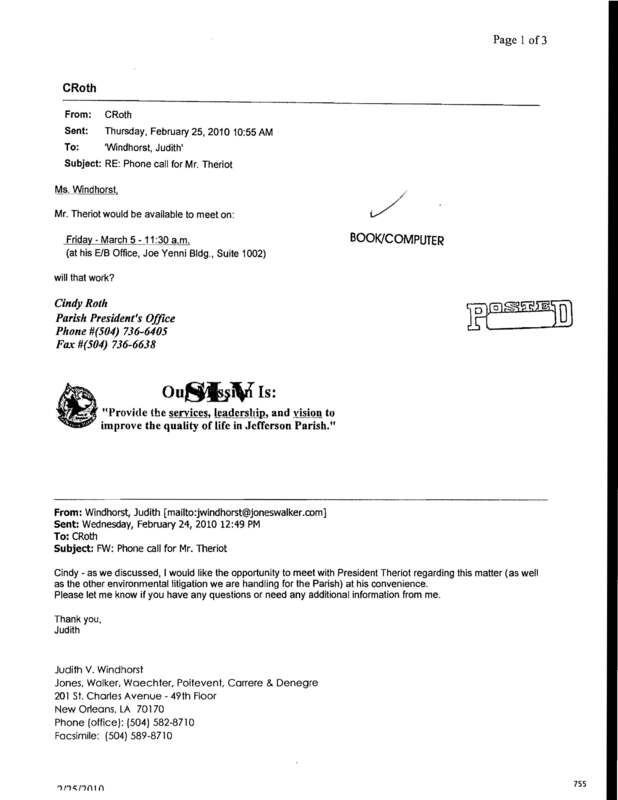 Click the pic to get the 4 page pdf of the removal. Author Douglas HandshoePosted on November 6, 2012 March 14, 2014 Categories SopTags Aaron Broussard, Albert "Jim" Ward, Cerro Coyote SA, Charles Leary, Concrete Busters v River Birch Heebe Ward et al, Daniel "Danny" Abel, Fred Heebe, Jefferson Parish Political Corruption Scandal, Nova Scotia Enterprises, Racketeer Influenced and Corrupt Organizations Act, River Birch Landfill, Roy D'Aquila, Trout Point Lodge, Trout Point Lodge Limited Perret Leary v Louisiana Media Company LLC, USA v Broussard, USA v Whitmer, Vaughn Perret20 Comments on Trout Point Lodge, Cerro Coyote, Aaron Broussard and others named as co-conspirators/defendants in federal racketeering suit.